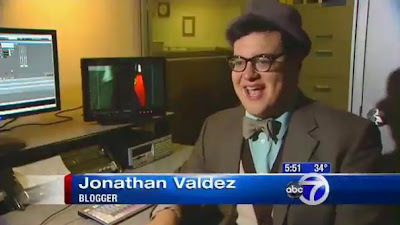 OJ&B In The Press: Jonathan Valdez Talks 2012 Golden Globe's Fashion With ABC 7 In NYC! I had the honor of dishing about what the stars wore at the 2012 Golden Globes with ABC 7's Kemberly Richardson (who I am now obsessed with)﻿ at the ABC Studios in NYC! I cannot tell you how much fun I had talking about what I love the most: celebs and fashion! Check out the video below to see what stars I thought worked their dress and who just looked a mess at this year's Golden Globe Awards. Special thanks to ABC 7 for having me on to talk about Globe's fashion! I would love to come back to talk about the Oscar's and anything else in the entertainment world!